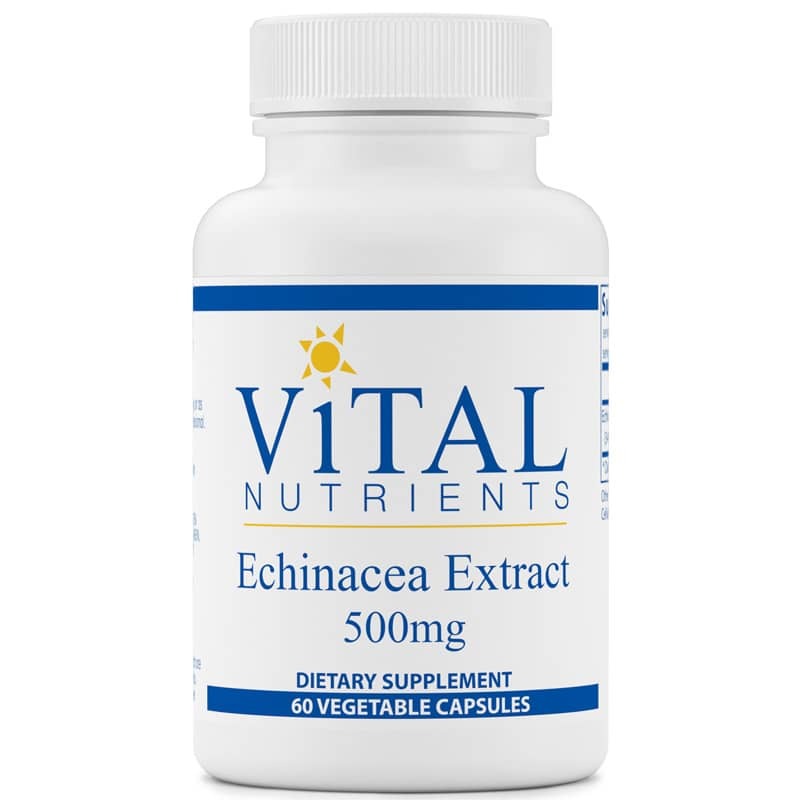 Echinacea Extract 500mg by Vital Nutrients provides support for the immune system. 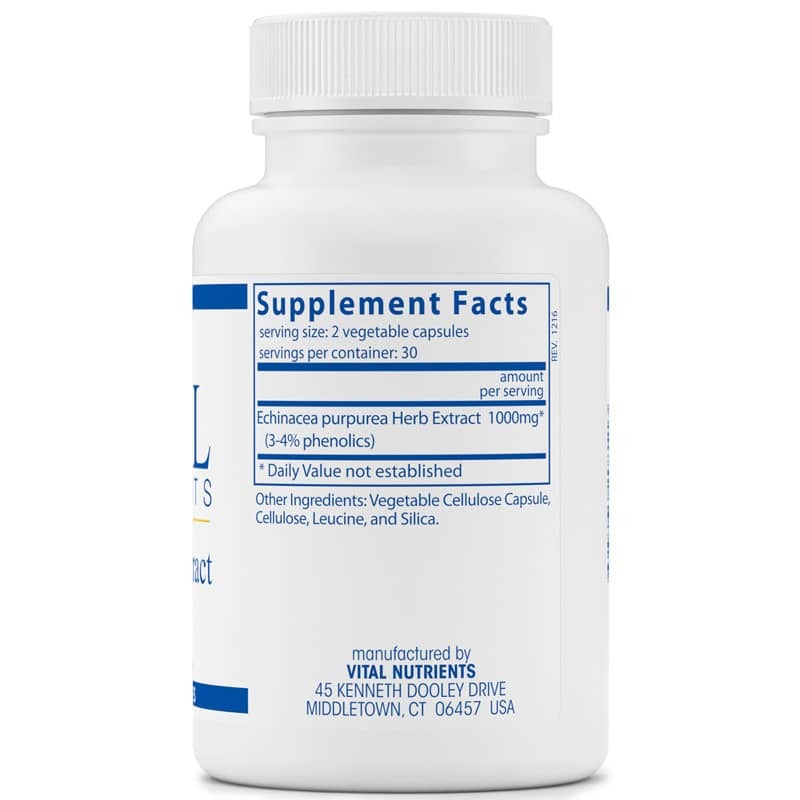 Echinacea is known to support stimulating macrophages and antibody production. Echinacea is an immune tonic and is used to support the bodys natural defense system. Quality: Independently tested for authenticity, potency, heavy metals, solvent residue, herbicide and pesticide residue, afloxins, stability and bacteria, yeast and mold counts. Other Ingredients: vegetable cellulose capsule, leucine and silica. 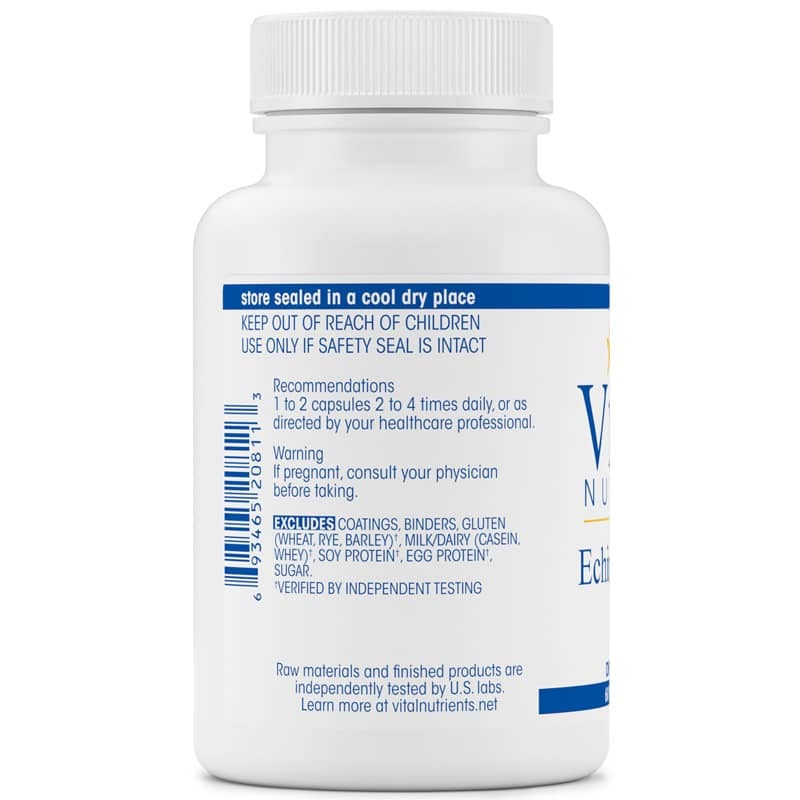 Adults: 1 to 2 capsules 2 to 4 times daily, or as directed by a healthcare practitioner.